When you are part of a writers’ group, it’s only natural to discuss books. And so, a while ago, I mentioned German Literature Month on my writer’s forum and found out that one of the members. John Lugo-Trebble, had studied German literature and did research on Irmgard Keun (and other authors). While discussing, he said that he found she deserved to be more widely known, especially her masterpiece The Artificial Silk Girl – Das kunstseidene Mädchen. I certainly agree with him, and so I asked him whether he felt like writing a guest post for German Literature Month. I’m very glad he said yes. John Lugo-Trebble is an American writer, living in the UK. 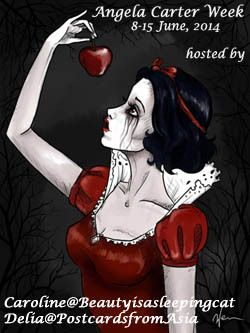 Some of his short fiction is forthcoming on Jonathan the literary journal of Sibling Rivalry Press. 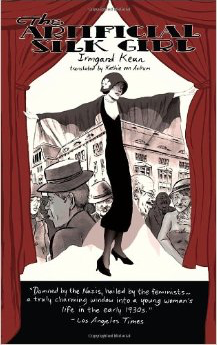 Christopher Isherwood’s “Berlin Stories” was the inspiration for “Cabaret” which for an English speaking audience is often the image conjured up of Weimar Berlin. His Berlin is a decadent melting pot on the brink of implosion through the eyes of fun seeking expats. I don’t think you can argue that his observations are not important but for me, reading is like travelling and when I travel I always like to experience what locals would. This is why for me, one of the most important German texts capturing the era that should be read by English speakers is “Das kunstseidene Mädchen” (“The Artificial Silk Girl”) by Irmgard Keun. Irmgard Keun gives us not just a German insight but a female German insight to Weimar through the eyes of her protagonist Doris. Working in a theatre in Köln, young Doris craves the spotlight, like the women in the glossy magazines that are like her Bible. She wants glamour, she wants wealth. She doesn’t want to be like her parents, on the breadline. She especially fears becoming her mother and having to support a man, in a loveless marriage. Doris becomes enamoured with a fur coat at the theatre and decides to steal it. In her fur coat, she can dream of the life she so covets. She can pretend to be that wealthy young girl who deserves the finery in life. She can epitomise glamour when wrapped in the soft fur. Now a fugitive because of this coat, she runs to Berlin wherein her vain attempt in pursuing glamour she weaves through the city’s underworld of prostitutes, pimps, communists and even becoming a mistress herself. 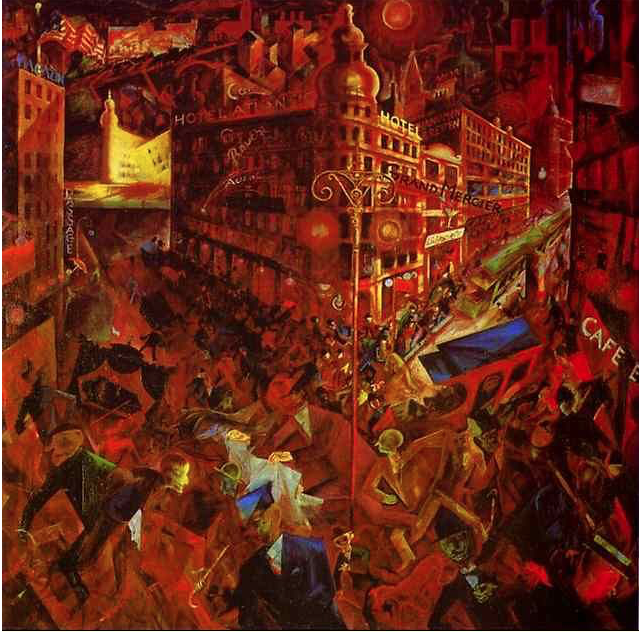 Her dreams quickly spiral out of control as she chases money, stability and ultimately love amidst the backdrop of Berlin’s economic and political turmoil; putting us in mind of one of Grosz’s paintings come alive. On the one hand, Doris is a mirror of the limitations of the New Woman, a woman who was to be liberated from the shackles of Imperial Germany by the promise of the Social Democratic Weimar Constitution. The reality is the limitations of that liberation that came with the economic upheaval left by the Treaty of Versailles. There is though something in Doris’ tale that resonates still today and that is the pursuit of glamour, a desire for celebrity. I was reminded only recently of “The Artificial Silk Girl” when I was watching “The Bling Ring.” For those of you who haven’t seen it, the film is loosely based on a crime spree in Los Angeles perpetrated by a group of celebrity admiring, glamour seeking teenagers who literally break into the houses of their style icons to steal their possessions. They are driven by this desire and need to be famous, to lead an untouchable existence of celebrity. I couldn’t help but think of Doris. The difference though is that Doris has a moral centre which comes forward as she sits on a bench at Bahnhof Zoo, no longer the girl start struck in pursuit of wealth, she is a woman aware of the world around her, her own limitations, and indeed her own desires. Will she head out of Berlin or stay? We don’t know, but what we do know is that the fur coat is long gone now. Irmgard Keun is one of the few German women writers of her day who have been translated into English and I truly believe one of the finest writers of the Twentieth Century, full stop. 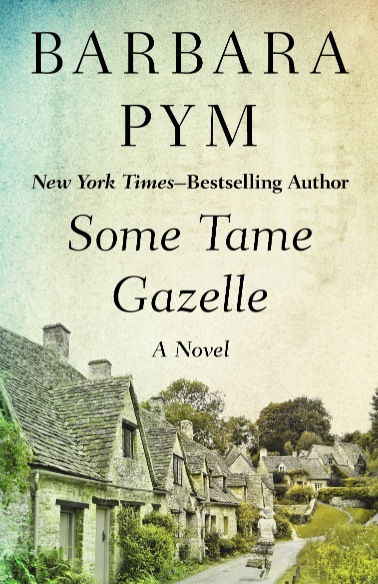 She presents us with a protagonist who has the naiveté of youth and the observational skills of a woman of her day. You will fall in love with her vulnerability, laugh at her silliness and want to shake her till she grows up but also respect her path because she tries, even when there is no hope presenting itself. With Keun, there is a voice beyond Alfred Döblin and Hans Fallada’s portrayals of women which leave much open to debate. There is more than Sally Bowles. Thanks so much, John, for this interesting post. I hope those who haven’t done so yet, will soon pick up The Artificial Silk Girl, or one of Keun’s other great novels. Kim, I think you would enjoy it. She’s managed to capture a very fresh voice. Thanks to John and Caroline for this post – I love the work of Keun that I’ve read (After Midnight and A Child of All Nations) so I don’t need any prompting to read more of her books… (I might jusst be off for a little clickety-click) This sounds wonderful! Our pleasure. 🙂 It is wonderful, Karen. Definitely one I would re-read. I hope you’ll read and review it. It’s a good thing I already have this on my shelf, then. Yes, it is. I don’t think you can go wrong with this book or the author for that matter. It makes me smile to know that a few new people are going out to read her work. I believe her work has and will stand the test of time. I think you did a terrific job of describing it. A few years ago I read Irmgard Keun’s After Midnight and was impressed. In that work the female protagonist, though very different from how you describe Doris, was an impressive creation. I want to read more Keun I will likely read this one soon. I hope you will. It’s been a long while since I read it but it’s still so fresh in my mind. Wonderful review! Thanks John for sharing your thoughts on Irmgard Keun’s book! Thanks Caroline for hosting John’s guest post. Thanks, Vishy. Glad you liked it. I like both POVs, both have their own authenticity, but, of course, there’s nothing that compares an insider’s view. This is definitely an author and book you should check out some day. I haven’t sen the Bling Ring but will have to do so. I will add Irmgard Keun to my ‘TBR’ list. In other news, I got Remarque’s ‘A Time to Live and a Time to Die’ today 🙂 Can’t wait to get started. I also got Stefan Zweig’s ‘The World of Yesterday’. I read the first page and it looks like a masterpiece. Have you read that? I don’t know why I haven’t read a Stefan Zweig book before, though I have read a couple of short stories by him. I started reading The World of Yesterday a few years ago and loved it but had to put it aside and never got back to it. It’s a masterpiece. I started the Remarque and already love it but it’s sad. He’s graphic. Not gruesome but – well you’ll see. I’m glad you’ll give The Artificial Silk Girl a chance. So nice to know that you loved ‘The World of Yesterday’. Hope you get back to it sometime and continue from where you left off. I have reached around 30 pages and each page is a gem – it is so wonderful, the description of life in Vienna, of how people thought during that time is so fascinatingly described. Stefan Zweig’s father sounded like my own dad 🙂 Am planning to show those pages to him 🙂 Am planning to start Remarque’s book soon. Sorry to know that it is graphic, but glad to know that it is not gruesome. I’ve read about 200 pages of the REmarque now and it has gruesome passages. Not over long stretches of time but here and there. Just thought I let you know. I hope you’ll tell me what your father says when he reads it. It’s a beautiful book and makes you long for a world long gone. Well, I’m convinced. I’ve read Doblin and Isherwood’s Mr Norris Changes Trains (both reviewed at mine), but hadn’t even heard of this though I know of the author. John makes a seriously good case for it. A definite buy for after the #tbr20. Thanks Caroline, you were definitely right to host this. Really appreciated. I’m very glad to hear that, Max. I’m looking forward to a review, once you’ve finished #tbr20. I was happy, he wrote this post because I loved the book and think it’s importnat but it was to ong ago to write a proper review and I’m not ready for a reread yet. Having just read Keun’s first novel, Gilgi, which I found to be very good, I’m eager to read this – it seems to share many of the same themes, which I also found relevant to today. Since you liked Gilgi, I’m pretty sure, you’ll like this as well. Some of the themes are very topical. I haven’t checked in a bit but I am so happy that my case for Keun has been so well received. I hope you all enjoy exploring her work further. I’ve got that too but still couldn’t make time to read it finally. I haven’t read this book, but the other works of Keun that I know prove that she was a great author. After Midnight is again on my reading list and maybe I will tackle also this book in the future. Keun’s name popped up in a prominent place in Volker Weidermann’s Ostend book which has been just translated in English. It adds additional information on her, especially her relationship with Joseph Roth. – For those interested in the decadent Berlin of that time I can also recommend Erich Kaestner’s Fabian. Thanks to John for this excellent guest post.